There is no better time to reflect about our family and our place in our genealogical tree than Christmas time. I enjoy Christmas time. I have a favorite Christmas song, The Christmas Song. Some of you may not know it by its formal name. If I started singing, “Chestnuts roasting on an open fire…” You would know exactly what song I was singing. For those that don’t know me well enough, I was singing it as I wrote it! I have a favorite Christmas cartoon, A Year Without a Santa Claus. This is the one with Heat Miser and Snow Miser. Classic Stuff. 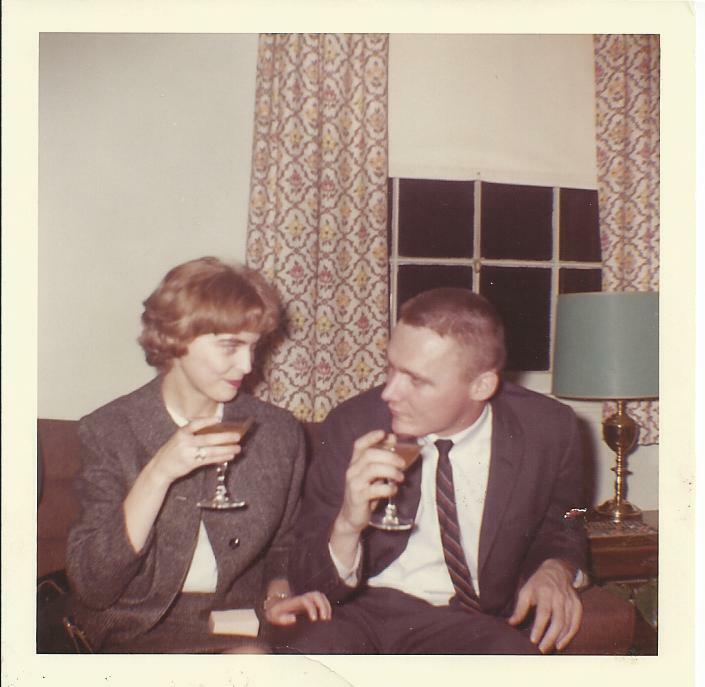 My father, Lawrence Walter Whitehead, proposed to my mother on Christmas Eve. When I think of this, I realize it is a romantic time to propose. Christmas equals family time. We have our religious traditions as well as our ancestral traditions. Each year we would debate about whether we should go to Christmas Eve Mass at Midnight or the earlier service. Did your family open any Christmas gifts on Christmas Eve? I was so jealous of my friends that had that tradition. Until later in life when given a choice then it made it somehow infinitely better to stick it out for one more day! Ha. My siblings will recall many of Christmas Eve’s driving around with Dad looking at Christmas lights. Little did we know it was “come hell or high water” for us to stay out of the house for a certain amount of time. It was a ruse to get the children out of the house so my mother could get “Santa’s” gifts ready. So, if Dad got back to the house to early, it would be bad news. My siblings, David and Kathy could tell a few stories about this, I hope they do. 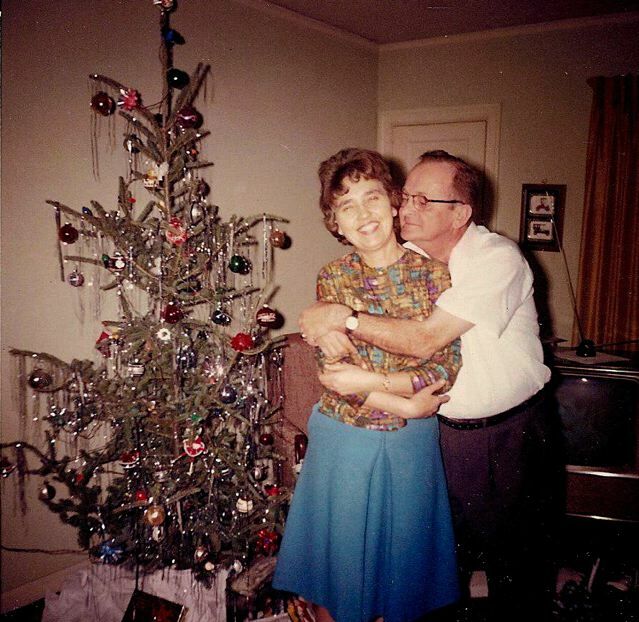 I have this picture of my grandparents in front of their Christmas tree in 1963. 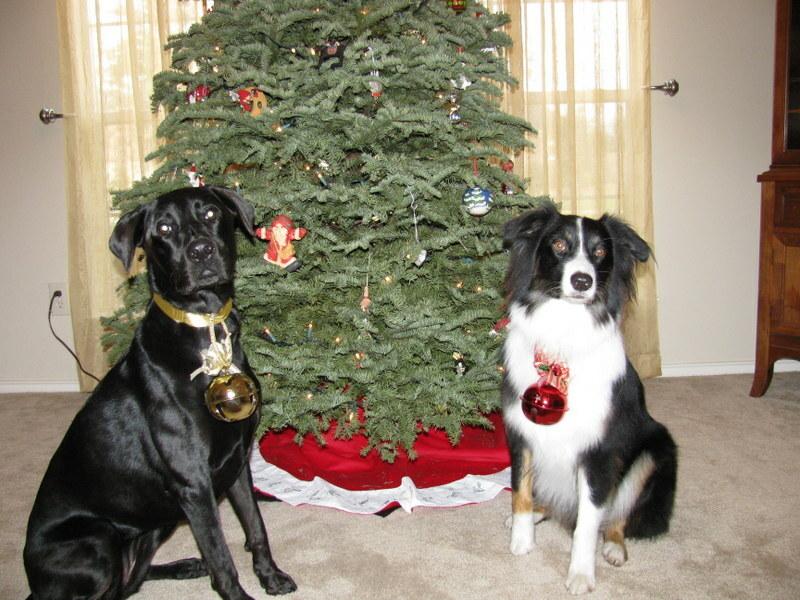 If I am calculating this correctly, this would have been their first Christmas as empty-nesters. My grandfather is hugging grandma and looking at her as he always did. I love the tree with its tinsel. There is this Christmas ornament on the tree of a red elf with long legs and a short skirt; it seems very familiar to me. I think we might have had one on our tree as well. My siblings and I have grown up and left our parents to be empty-nesters, but we have taken our familial traditions and morphed them into new ones. My sister’s Santa wraps gifts in the same colored paper for each child. Our Santa did not wrap his gifts. We had stockings with fruit and some candy. I do not know what Joe and his wife do for stockings. Maybe they take on some of Bethany’s family traditions. Cheryl and I decided long ago that we would get a tree every year. We each wrote a short essay to each other to explain why it was important to have a tree. I am not sure why. I am sure I have the essay somewhere, because I do not throw anything away. What I can remember is that in my essay, I gave all kinds of reasons, and hers basically said, that if I wanted a tree, she wanted me to have a tree. That is love. See Christmas time is family time and family time is Love. Here’s to a great Christmas season with your family. What does it mean to be funny or witty? I think both are different types of humor. What part does humor play in our family? Where do we get our sense of humor? My family cracks jokes (teases) with each other often. It was one of the first things I warned Cheryl about was that if we tease you, it is because we like you. Cheryl did not really seem to understand this logic. I think it took Dee Dee a while to understand it was our family’s way. But, it is. I do not know where we got it from because neither of my parents teases in this way. Don’t get me wrong, my parents are fun and humorous people. But, they do not use teasing as a way of expressing themselves. 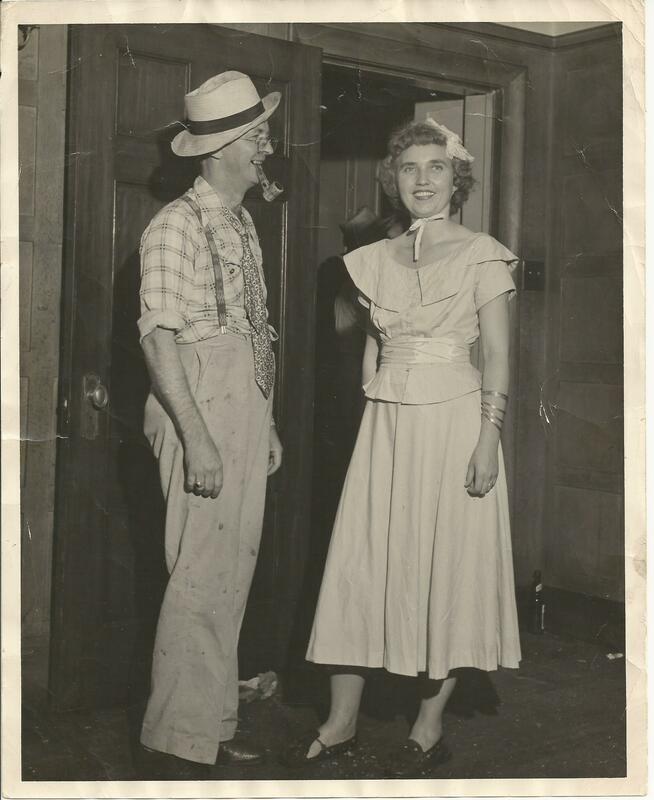 I have this picture of my grandparents, Lacy and Odelle, dressed up for some type of party. It makes me smile. Where are they going? I am not sure, but they both look like they are ready for a good time. Lacy has a pipe and some suspenders. My grandfather passed away when I was very young (11 years old), but I always remembered him as a jokester. I know I have written about it before about his wiggling his ears, etc. 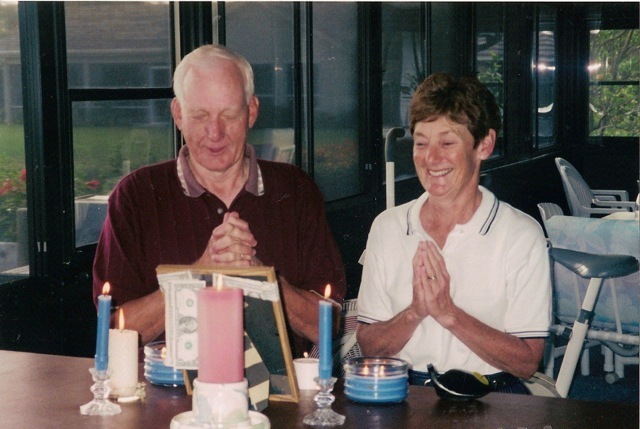 My grandmother was not as silly as my grandfather, but she enjoyed a good time. I remember her laughing a lot. I wonder if that is what she saw in my grandfather. My Uncle Don is a funny guy as well. He would honk to cows when we were younger and is always jovial. He would place bets with my mother on golf and they would sign and date bills. They both kept them for years. 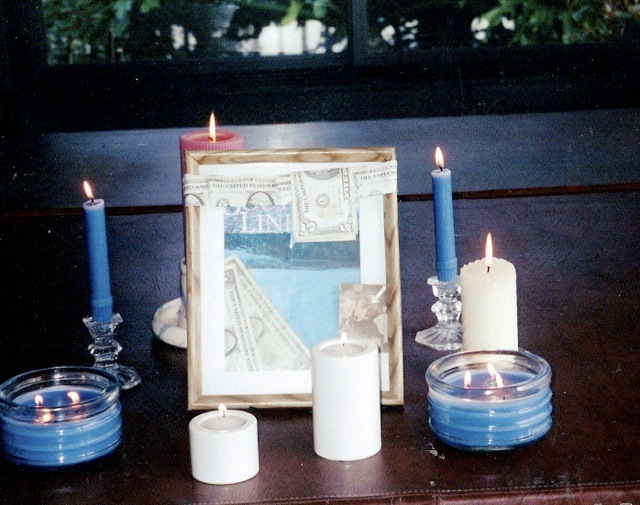 He even made a shrine of them one time. Who else was funny or has a great sense of humor in our family? If you have a story, please share.